Step out in style in the Lana by Ros Hommerson®. 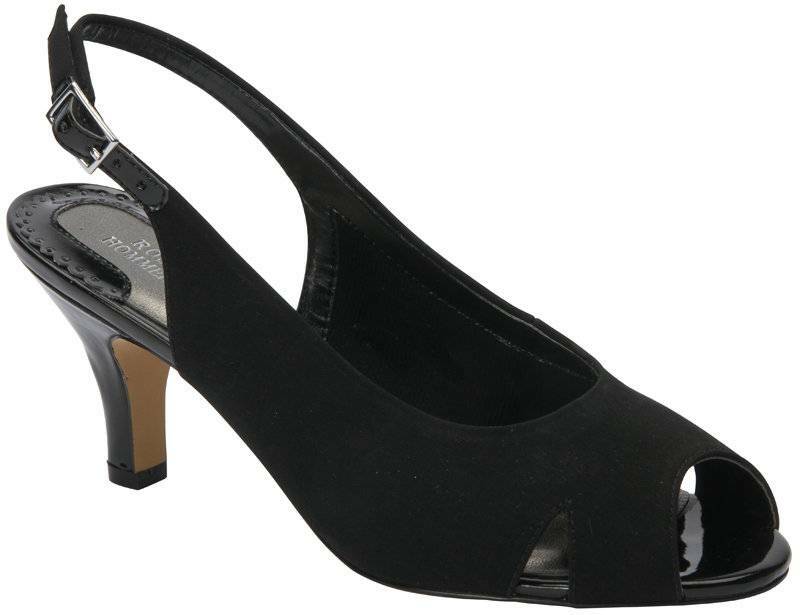 This peep toe sling features an adjustable heel strap and a foam- cushioned footbed offering extended comfort. The Lana sits atop a flexible leather sole to keep you comfortable throughout your day. 2.5" covered heel.